Pöytyä is a municipality of Finland located in the Southwest Finland region.The municipality has a population of and covers an area of of which is water. Kick off your visit on the 30th (Fri): explore the striking landscape of Kurjenrahka National Park. To find traveler tips, maps, reviews, and other tourist information, read our Poytya online itinerary planner . Philadelphia, USA to Poytya is an approximately 18-hour flight. The time zone difference moving from Eastern Standard Time to Eastern European Time is 7 hours. Expect little chillier temperatures when traveling from Philadelphia in August; daily highs in Poytya reach 68°F and lows reach 51°F. 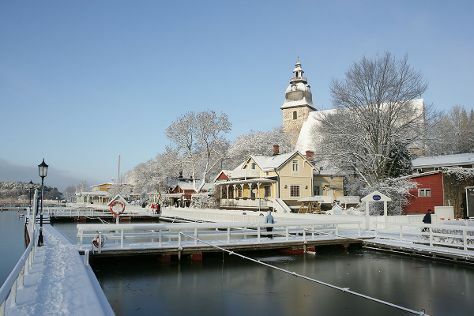 On the 30th (Fri), wrap the sightseeing up by early afternoon so you can travel to Turku. Step out of the city life by going to Vepsa Island and Ispoinen Beach and Sauna. There's lots more to do: step into the grandiose world of Turku Castle, have some family-friendly fun at Moomin World, don't miss a visit to Archangel Michael's church, and get lost in a book at Turku City Library. You can plan Turku trip in no time by asking Inspirock to help create your itinerary. You can drive from Poytya to Turku in an hour. In August, daytime highs in Turku are 68°F, while nighttime lows are 51°F. Wrap up your sightseeing on the 3rd (Tue) to allow time to drive to Kimito Island. Start off your visit on the 4th (Wed): enjoy the sea views from Archipelago National Park. To find reviews, where to stay, other places to visit, and other tourist information, read our Kimito Island driving holiday app . Traveling by car from Turku to Kimito Island takes 1.5 hours. Alternatively, you can take a bus. In September, daily temperatures in Kimito Island can reach 61°F, while at night they dip to 44°F. On the 5th (Thu), you'll travel back home.